Smoothies make delicious, quick snacks or meals in between classes. On your college campus, you'll find there are places where you can get smoothies, but as these are yummy snacks, you'll also find that the lines are incredibly long and you're waiting a huge chunk of time for your smoothie. Knowing you're going to be waiting a long time means you need to account for extra time in your morning routine. You obviously don't want to adjust your schedule just to get a quick snack in between classes. Ensure you can make delicious smoothies in your college dorm room in less time with our Blend To Go Personal Blender in Green. Our Blend To Go Personal Blender in Green has a cool look for your dorm room decor with a green and white design, which is just one of the benefits of this dorm essentials item. Obviously, your first concern is making delicious snacks and light meals. 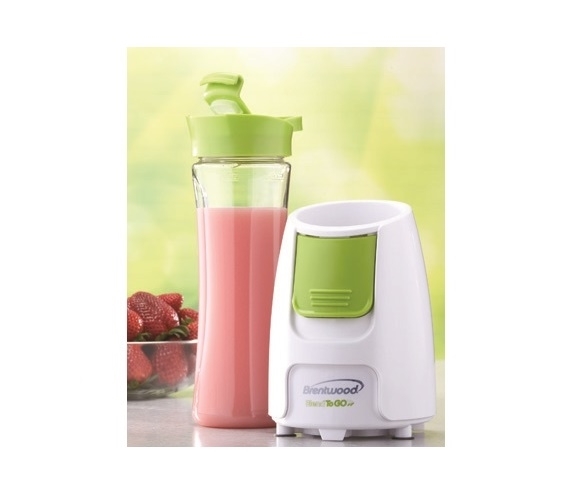 With this dorm necessities item, you can put whatever you want into your smoothie and as much of it as you want so if you want tons of strawberries or an extra banana, you can do that without having to pay an additional charge like you would at the cafe. Our Blend To Go Personal Blender in Green has a one touch button so you can easily make your smoothie while getting ready in the morning. Have a healthy snack and save money at the college cafe with our Blend To Go Personal Blender in Green.